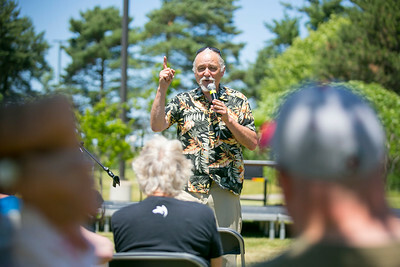 Daryl Quitalig - For Shaw Media Storyteller Jim May speaks to a crowd at McHenry County College's Scots Fest, an interactive arts festival and car show, Saturday, June 10 at McHenry County College. The event was an appreciation to the community for supporting the College’s half-century of progress and included MCC music ensembles, Strikers Drum Line, Pots & Pans, a kids activities area and interactive art demonstrations from MCC faculty and students. 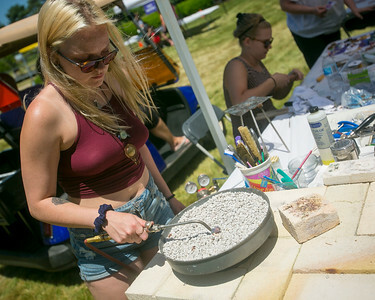 Daryl Quitalig - For Shaw Media Monika O'Brien, 21, of Algonquin, anneals copper for a ring created during McHenry County College's Scots Fest, an interactive arts festival and car show, Saturday, June 10 at McHenry County College. The event was an appreciation to the community for supporting the College’s half-century of progress and included MCC music ensembles, Strikers Drum Line, Pots & Pans, storyteller Jim May, a kids activities area and interactive art demonstrations from MCC faculty and students. 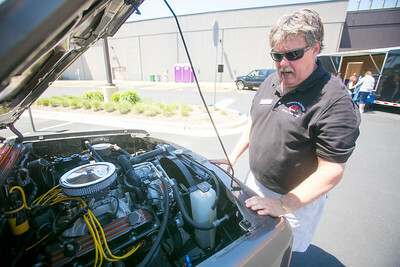 Daryl Quitalig - For Shaw Media McHenry County College Automotive Technology Instructor Mike Albamonte speaks under the hood of the program's Alternative Fuel Training Vehicle, a 1995 Dodge Dakota, modified to run either pump gasoline, E85, or propane, at MCC's Scots Fest, an interactive arts festival and car show, Saturday, June 10 at McHenry County College. The event was an appreciation to the community for supporting the College’s half-century of progress and included MCC music ensembles, Strikers Drum Line, Pots & Pans, storyteller Jim May, a kids activities area and interactive art demonstrations from MCC faculty and students. 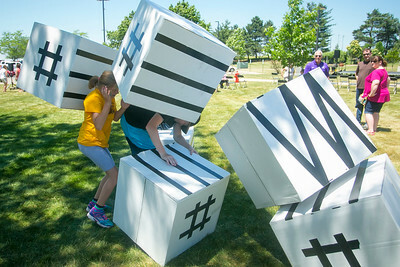 Daryl Quitalig - For Shaw Media Madalyn Sloan, 10, and brother Andrew, 13, topple a 6-row box tower at McHenry County College's Scots Fest, an interactive arts festival and car show, Saturday, June 10 at McHenry County College. The event was an appreciation to the community for supporting the College’s half-century of progress and included MCC music ensembles, Strikers Drum Line, Pots & Pans, storyteller Jim May, a kids activities area and interactive art demonstrations from MCC faculty and students. 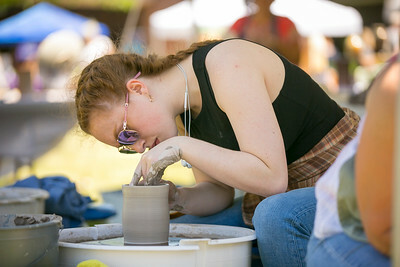 Daryl Quitalig - For Shaw Media Emily Brankin, 23, of Cary, throws a coffee cup during McHenry County College's Scots Fest, an interactive arts festival and car show, Saturday, June 10 at McHenry County College. The event was an appreciation to the community for supporting the College’s half-century of progress and included MCC music ensembles, Strikers Drum Line, Pots & Pans, storyteller Jim May, a kids activities area and interactive art demonstrations from MCC faculty and students. 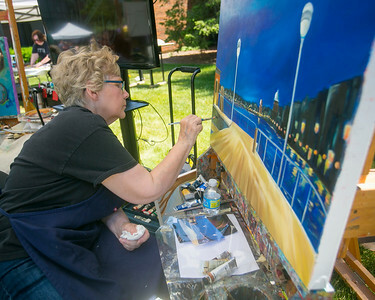 Daryl Quitalig - For Shaw Media Katnie Jagman, Retired Adult Program student, of Woodstock, works on a painting at McHenry County College's Scots Fest, an interactive arts festival and car show, Saturday, June 10 at McHenry County College. The event was an appreciation to the community for supporting the College’s half-century of progress and included MCC music ensembles, Strikers Drum Line, Pots & Pans, storyteller Jim May, a kids activities area and interactive art demonstrations from MCC faculty and students. Katnie Jagman, Retired Adult Program student, of Woodstock, works on a painting at McHenry County College's Scots Fest, an interactive arts festival and car show, Saturday, June 10 at McHenry County College. The event was an appreciation to the community for supporting the College’s half-century of progress and included MCC music ensembles, Strikers Drum Line, Pots & Pans, storyteller Jim May, a kids activities area and interactive art demonstrations from MCC faculty and students.